The Dr Martens brand has been around for over half a century and in that time they’ve remained a fashion icon. 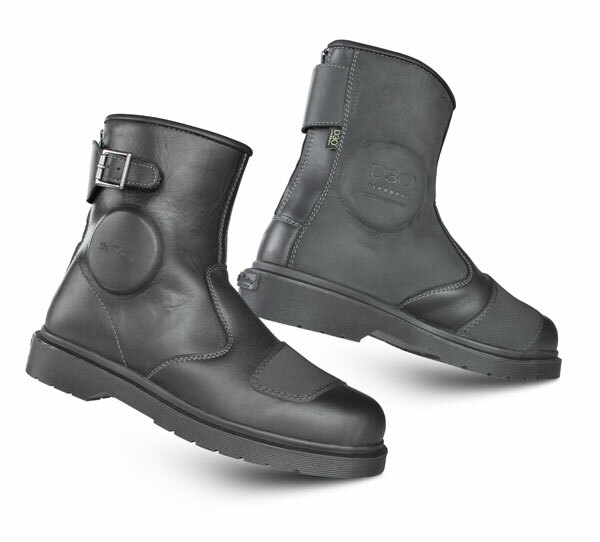 Now they have released a range of motorcycle boots that retain the style without compromising on the safety we expect from CE approved motorcycle boots. The Garrick boots will be available to buy this Spring/Summer and are constructed of waterproof full grain leather combined with industrial greased leather. The ankle and shin protection contains high-tech D30 material which is soft and malleable under normal circumstances for enhanced comfort and yet becomes rigid when exposed to impact, ideal for motorcycle safety armour. View the video of how D30 works at the bottom of this page. The outer sole will withstand temperatures of 300 degrees for up to a minute and is also SRC rated for its anti-slip properties. The sole is also reinforced to prevent it from bending to extremes when force is exerted upon it. 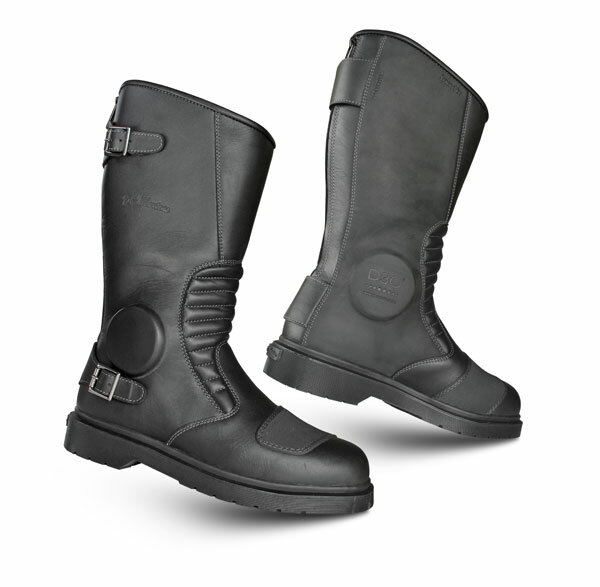 They are tested to EN standard for Motorcycle boots EN13634 – 2010 and all of the safety additions add up to the coveted CE certification. If you prefer a shorter boot for more casual use then Dr Martens have also introduced the Faris boots which retain the safety features such as D30 armour and the CE certification found on the full length Garrick model. RRP is £249.99. The Tranam website has information on the Faris boots here.